Two things that make me really happy around the holidays are peppermint and an ultra creamy creme brulee recipe. 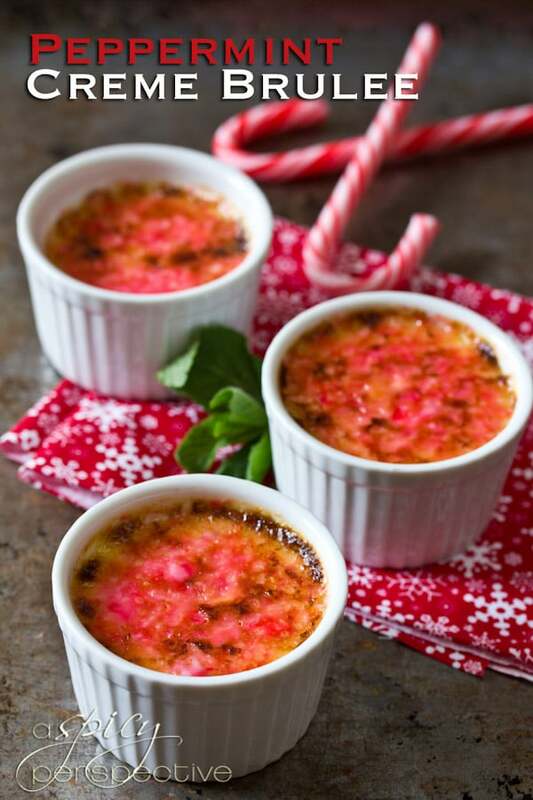 This easy peppermint creme brulee recipe with a candy cane top is just the thing to usher in the holiday spirit! My first memory of eating creme brulee was 18 years ago when I had just started dating Lt. Dan. I didn’t know what creme brulee was, but the way he talked about it made me weak with curiosity. When the little dish was placed on the table, Dan looked up at me with a twinkle in his eyes and said, “Now watch this.” He gently tapped the glassy top on the custard and the caramelized sugar cracked open, revealing a delicate vanilla custard underneath. Anyone who could introduce me to such a glorious little treat was bound to be full of surprises. 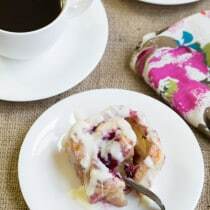 Today’s Seasonal Seven Recipe is fabulous for holiday dinner parties because it’s easy to prepare, can be made days in advance, offers subtle elegance, and festive flavors. I used McCormick Peppermint and Vanilla Extract to add depth to the Peppermint Creme Brulee Recipe, then crushed peppermint candy canes to sprinkle over the top. Bruleeing the candy cane powder creates a toasted stained-glass surface that shatters into the creamy goodness below, when tapped. 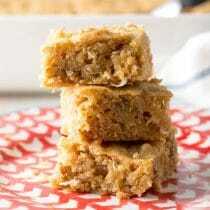 Preheat the oven to 325 degrees F. Butter 6 – 6 oz. ramekins or 10 – 4 oz. ramekins. 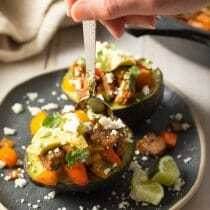 Place the ramekins all in a large rimmed baking dish. Whisk the egg yolks with the sugar, vanilla, peppermint extract and salt. Then pour the cream into a separate microwave-safe bowl and microwave until it simmers. Whisk the egg mixture FEVERISHLY, and slowly pour the hot cream into the egg. POUR SLOWLY to ensure you don’t scramble your eggs. Then evenly distribute the finished mixture among the prepared ramekins. Carefully pour hot water around the ramekins in the baking dish about half way up the sides, then place in the oven. 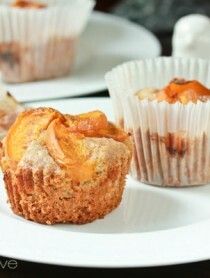 Bake for 35-45 minutes–closer to 35 for smaller ramekins and 40-45 minutes for larger ramekins. The edges should be firm and the very center should jiggle just a little. Remove from the oven and cool until easy to handle. Then cover the tops with plastic wrap and chill for at least 4 hours, but up to a week. One hour before serving, crush the candy canes in a food processor or blender, and sprinkle the candy cane powder over the top of each custard. Using a brulee torch, caramelize the top of each custard, then place them back in the fridge for at least twenty minutes to harden. 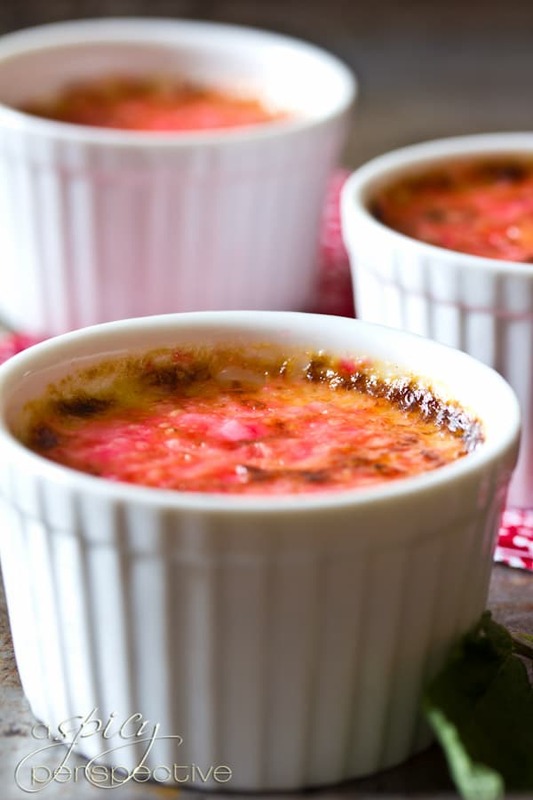 *If you don’t have a brulee torch, you can place the whole tray of ramekins under the broiler to brulee the top. Make sure it is fiery hot when you put them in, and DON’T TAKE YOUR EYES OFF THEM FOR A SECOND. If the broiler is hot enough, this should take less than a minute. Amazing! This definitely puts me in the spirit of the holidays! ohh you had me at creme brulee! 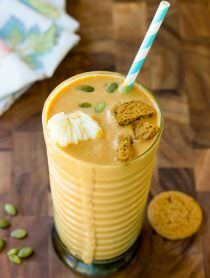 Love this seasonal flavor, reminds me of peppermint ice cream that comes out this time of year. How cute is this, great idea! What a great idea Sommer! I remember the first time I had creme brulee – such a treat to break through the crunchy topping! 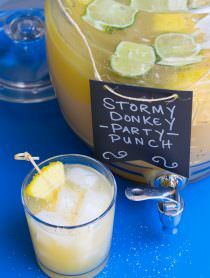 I love the story and the recipe…. So festive! I need a spoon stat. I remember my first brulee experience and I fell in love too! Sommer these look spectacular and totally put me in the Christmas spirit! Sommer, I think I’m in love with YOU. 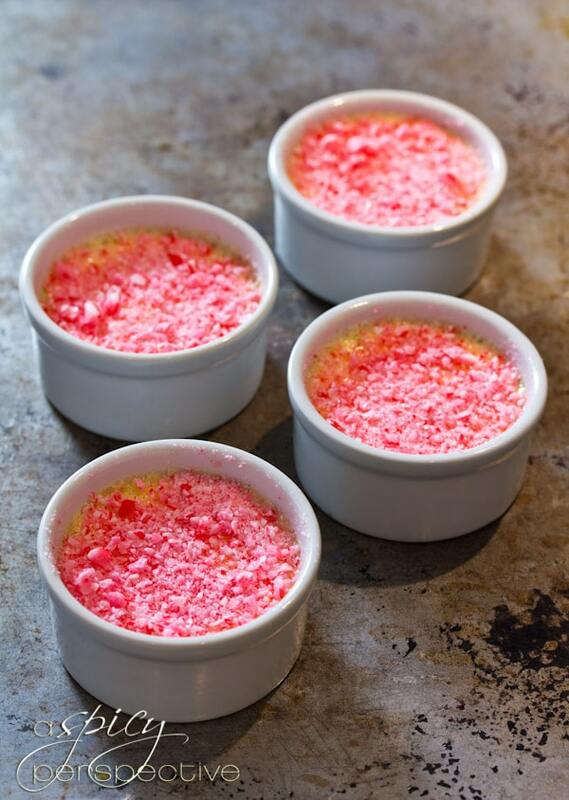 Peppermint creme brulee sounds like a dream come true.. is it made of magic? Methinks so. This is such a fun idea! I definitely need a kitchen torch! Ooooh, yummmy!! I saw peppermint in the title and just had to click on over to see what you great thing you’ve whipped up. Love this! 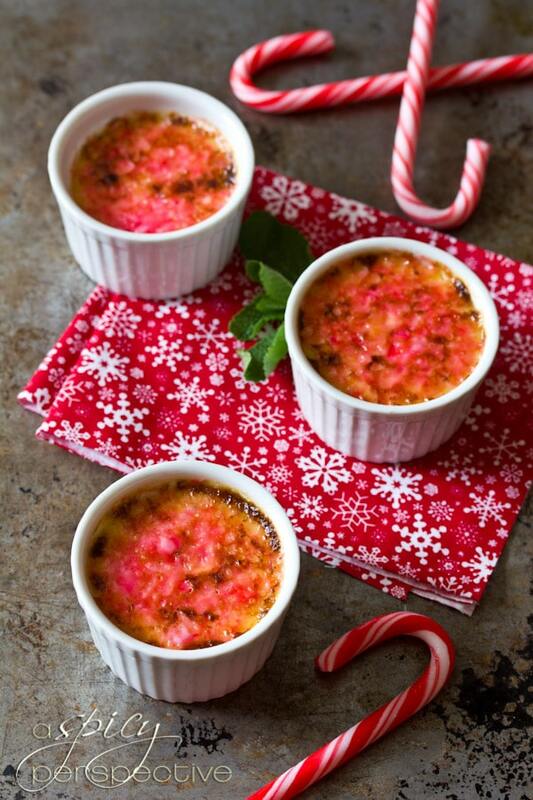 Love the peppermint twist on these creme brulees, gorgeous!! A perfect dish a perfect story! Very fun Sommer. Oh my! I must have this!! So genius! Thanks for sharing :) I’m a creme brulee addict! Everything you make is always fabulous, Sommer. Love this – so creative!! I always order creme brulee at restaurants, but the one time I tried to make it myself, it ended in disaster. But now I’m tempted to give it another try–that pepperminty top is genius! What a genius idea – love it!!! Sommer, such a unique ~ pretty + FUN idea! 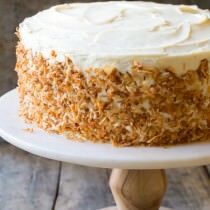 Such a fun recipe!! Very clever spin on creme brulee!! What a marvelous (and festive) idea! Absolutely love it (I’m a huge fan of creme brulee)! Candy canes on top! You are a genius. Love, love, love. Wow this sounds so good – and so creative! I love the color it turned! Love this idea! 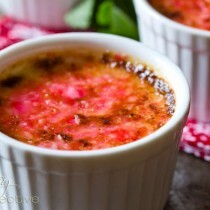 Creme brûlée is one of my favorite desserts and I would love to try this peppermint one. It must be the holidays when peppermint makes a showing – what a great idea!